Rancho del Oso is the coastal portion of Big Basin Redwoods State Park and is located 17 miles north of Santa Cruz off Highway 1. Rancho del Oso has served as a wild and rugged landmark to travelers along the coast since Spanish sailors watched for the massive cliffs they called Sierra Blanca from their galleons in the 1600s. 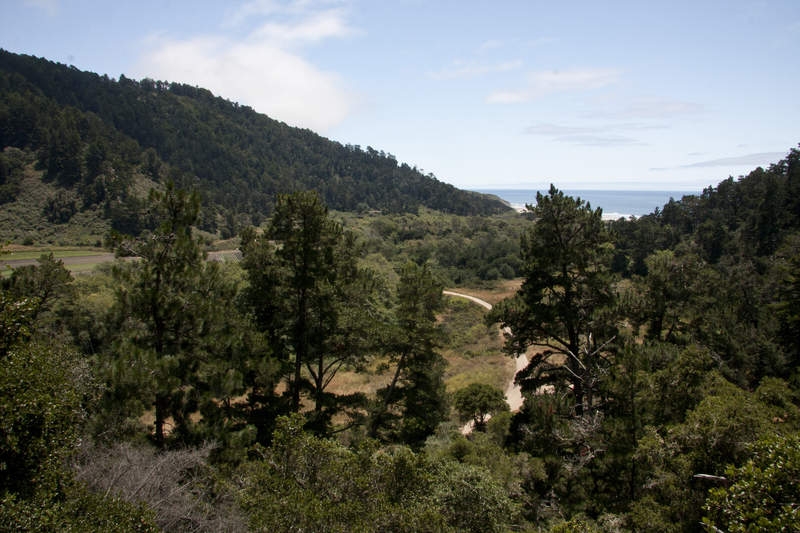 The canyon carved out by Waddell Creek supports a remarkable diversity of native plant communities, including coastal strand (beach), coastal scrub, riparian (streamside), meadow, marsh, Monterey pine forest, mixed evergreen forest, chaparral, and redwood forest. The Ranger Station Interpretive Center is located on the north side of the Waddell Creek Bridge, 1/4 mile inland from the yellow gate across from the Waddell State Beach parking lot. *Hours vary, please call for details. Guided hikes, kids program, special events and more are hosted reguarly at the Natural and Cultural History Center. Please CLICK HERE for a complete list. Six miles of relatively level road (a graded dirt fire road) meanders along the course of Waddell Creek. We recommend fat-tire bicycles as the dirt and ruts may cause problems for a narrow tired "road bike". Helmets are required for young riders and recommended for all riders. There are NO through bike trails to Big Basin, and NO single track trails are open to bicycles at Rancho del Oso or the main portions of Big Basin State Park. There are 5 backcountry trail camps within Big Basin Redwoods State Park, three of these camps are located within relatively easy hiking distance from Rancho del Oso. Reservations are required to stay in the Backpacking camps. For reservations and more information, please visit www.parks.ca.gov/scmtrailcamps. 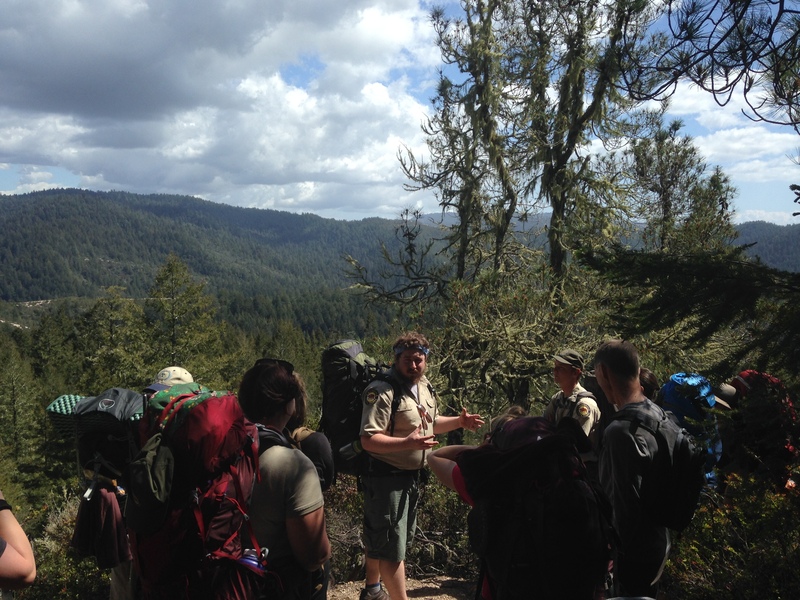 CALIFORNIA STATE PARKS BACKPACKING ADVENTURES offers naturalist-led trips through the Santa Cruz Mountains. For more information, please CLICK HERE. The Rancho del Oso Horse Camp, with reservations, allows riders to camp overnight with their horse. For reservations for the Horse Camp, please call Big Basin Headquarters at 831-338-8861. Please note, dogs are not allowed in any portion of Rancho del Oso, including the Horse Camp. Waddell State Beach, located across Highway 1 from the park entrance, is known worldwide as one of THE spots for windsurfing and kite surfing. The steady strong North West winds and good surf provide ideal conditions for this demanding sport. Launching from the tops of incoming waves the best windsurfers can complete full loops and continue on their way. With the strong winds and occasionally heavy surf, Waddell Beach is not recommended for novice wind surfers. Regular surfers and boogie boarders also find it an ideal spot to pursue their activities. A good place for bird watching is on the inland side of Highway One in the Theodore J. Hoover Natural Preserve. 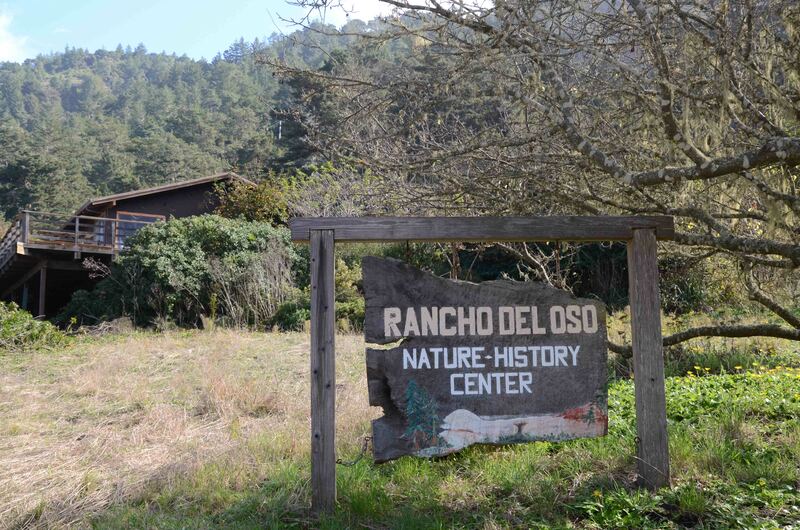 Rancho del Oso Nature and History Center is the coastal section of Big Basin Redwoods State Park, and is approximately 17 miles north of Santa Cruz (about 7 miles north of Davenport), and 30 miles south of Half Moon Bay (59 miles south of San Francisco). The main facilities of the park are divided by Waddell Creek with the Ranger Station and main hiking trails on the north side and the Nature Center on the south side. Take Mission St./Highway 1 to the western edge of town. Continue on Highway 1 through the town of Davenport (9 miles). The entrance to the Rancho del Oso Nature and History Center is another 1.3 miles ahead at the bottom of a long grade right before the Waddell Creek Bridge. Look for the small brown “Nature Center” sign on the right, then slow, and prepare to make the next right onto a dirt road. The Nature Center is approximately 1/4 mile inland. The road to the Ranger Station is on the north side of Waddell Creek Bridge ¼ mile inland from the yellow gate across from Waddell State Beach parking lot. Parking beyond the gate is for Horse Camp and backpackers only. Permits required. 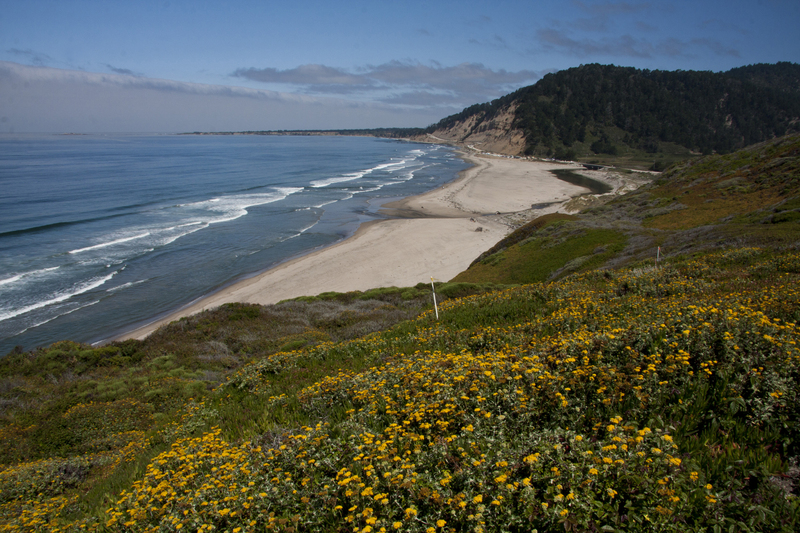 Day hikers and cyclists can park along Highway 1 or in the lot adjacent to Waddell Beach. Take Highway 1 South, past the town of Pescadero, Pigeon Point Lighthouse, and Año Nuevo State Park. The yellow gate on the road to the Ranger Station and hiking trails is on the left side of Highway 1, across from the Waddell Beach parking lot. Parking beyond the gate is for Horse Camp and backpackers only. Permits required. Day hikers and cyclists can park in the lot adjacent to Waddell Beach or on the inland side of Highway 1. The Ranger Station and hiking trails are located approximately one mile beyond the gate. The entrance to Rancho del Oso Nature and History Center located on the south side of the Waddell Creek Bridge on the left onto the dirt road. The nature Center is approximately 1/4 mile inland. DOGS are not allowed in any portion of Rancho del Oso nor on Waddell State Beach. BICYCLES are allowed on all fire roads and on the Skyline to the Sea trail from Rancho Del Oso to the seasonal bridge near the base of the Berry Creek Falls trail. There are NO through bike trails to Big Basin, and NO single track trails are open to bicycles at Rancho del Oso or the main portions of Big Basin State Park. HORSES: With reservations, riders can camp overnight at the Rancho del Oso Horse Camp. For reservations, please call Big Basin Headquarters at 831-338-8861. Please note, dogs are not allowed in any portion of Rancho del Oso, including the Horse Camp. Skyline to the Sea trail from Rancho Del Oso to the seasonal bridge near the base of the Berry Creek Falls trail. Trails: McCrary Ridge Trail, East Ridge Trail, Last Chance Trail, Clark Connector Trail Westridge Trail, Henry Creek Trail, and the Basin Trail. DRONES are not allowed in the park. To protect wildlife and cultural resources, and for the safety and welfare of visitors and staff, Big Basin Redwoods State Park is closed to the use of Model Aircraft, Unmanned Aircraft Systems (UAS), and Gliders in flight. PROFESSIONAL/COMMERCIAL PHOTOGRAPHY AND FILMING requires a permit through the California Film Commission. For more information, please click here. Do you enjoy nature and being outdoors? Do you feel a strong sense of giving to the community, promoting conservation and stewardship, and sharing knowledge with others? You can join our stewardship team and help connect park visitors to our natural and cultural resources. For more information, please click here. 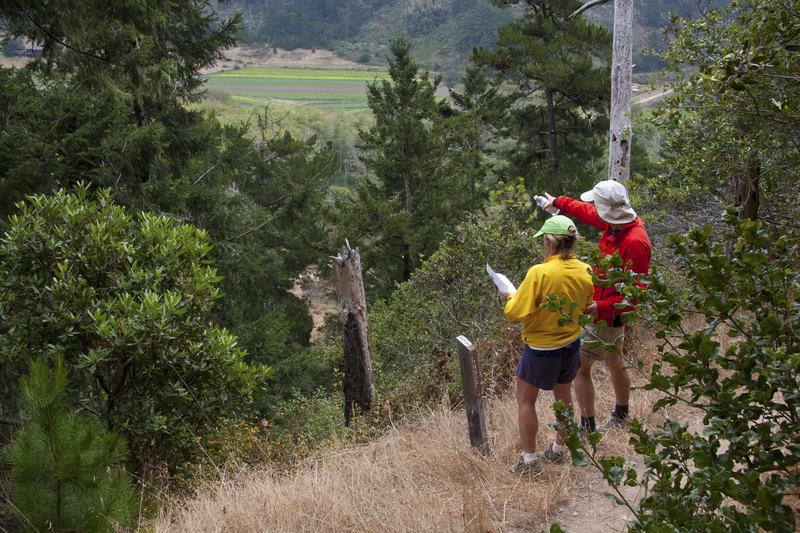 Naturalist-led field trips at Rancho del Oso take participants on a journey through seven unique habitats within the historical Waddell Valley. 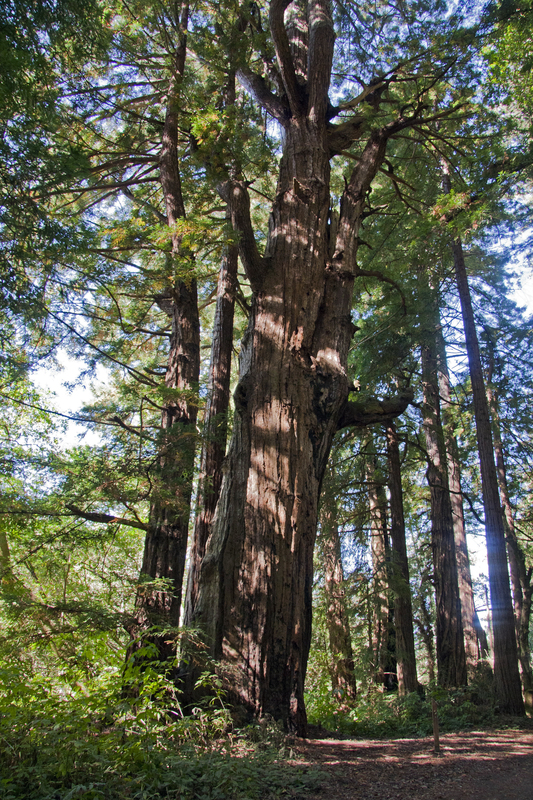 This coastal portion of Big Basin Redwoods State Park offers scenic hiking trails of varying difficulty. This site is ideal for contrasting diverse ecosystems and focusing upon animal adaptations firsthand through observational inquiry. The recently remodeled Nature Center offers interactive displays and provides a staging area for interpretive programs including beach exploration, birding along the Marsh Trail and landscape watercoloring lessons. We also focus upon cultural history, watersheds and identification of local plant and animal species. Our interpretive programs are congruent with Next Generation Science Standards (NGSS) and can be tailored to specific academic curriculum for varying grade levels and learning goals. For more information, please click here. Kids2Parks is an innovative park-equity program to bring students from Title 1 schools to State Park field trips. The program, a partnership between California State Parks and Friends of Santa Cruz State Parks, increases the number of students who have visited a state park or beach by reducing barriers to access. The program offers transportation funding for field trips to select Title 1 schools in Santa Cruz, San Mateo, and Santa Clara counties. For more information, and to apply please visit www.thatsmypark.org/visit/k2p/.